Social media, in recent times, has emerged as an effective marketing tool, but a disguised one for food brands. Online social media is a platform, where one should not be appearing as a marketer. F&B brands are nowadays increasingly using these platforms. From announcing location of new outlet, new product launch and introduction of exclusive cuisine, to responding over the never ending complaints of the consumers, the fast food brands are using social media as a never ending gamut for product placement and promotion in India. The trend has not only become the most preferred way of promotion, but it’s actually helping the biggies to reach maximum consumers in minutes. To get a clear picture of effectiveness and reach of social media in tapping the target consumers, Restaurant India tracked few fast food brands that are dominating the Indian market and are efficiently reaping good returns by using social media as a marketing tool. US fast food chain, Burger King, which has opened its first outlet in New Delhi, has received 111,417 likes and 24 visits, much before the brand has even widely targeted the Indian market. The Miami based burger chain has effectively used social media to monitor itself in the fast growing food market in India. Not only this, the burger chain has organised competition on Twitter from where customers can redeem the BK’s coupon to taste the whooper burgers. On the other hand, KFC, which is highly appreciated among chicken lovers for its crisp fried chicken snacks, has 35,702,812 likes and 554,915 visits. Similarly, choosing the same tricks of global food chains, Indian majors like Salt Water Cafe, owned by Riyaaz Amlani has gained over 7,921 likes while Bangalore based Cafe Coffee Day (CCD), which has changed the coffee drinking segment in India, has over 5,106,405 likes and 782,312 visits on its official Facebook page. Infact, the brand is too regular in updating its Facebook page with pictures and deals that it gets maximum page visit. CCD has also introduced a mobile app to tap tech savvy consumers. Social media guide the restaurateurs in defining their promotional goals and working out a strategy that works best for their branding and successful operation. According to The National Restaurant Association’s 2012 Restaurant Industry Forecast, almost one-third of consumers were prepared to follow a restaurant on social media, if special offers were available. The study also unveiled that social media environment has become cluttered with too many different platforms and restaurant owners’ efforts that were frustrated by limited resources and understanding of how to approach social media for their businesses. Meanwhile, experts also suggest that the restaurant should also keep a track on how the customer is responding to a particular post and comment. They were of the opinion that as a brand, the food majors need to keep a record whether a customer has tagged the brand somewhere, clicked a photo of the food being served to him and promoted the same on the social platform. The restaurateurs should also emphasise on finding out a tool to validate and monitor the kind of people writing reviews online about the brand for making it constructive and creating business out of it. 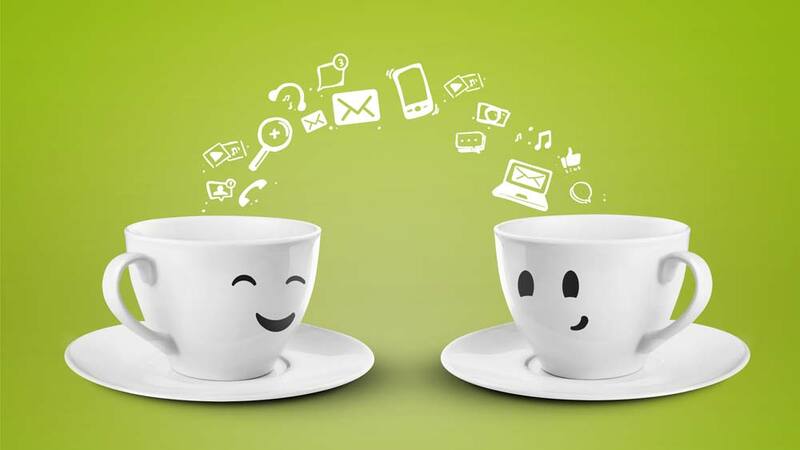 So, if you are using social media to build the business, it is all about listening and responding to your customers. According to the researches and experts comments, we can say that major fast food brands are reaping good profits and consumer attention by using social media. Listening to what consumers want and trying their best to give them quality service, have made them customers’ favourite and most preferred choice, when planning to eat out. Thereby, if you are using Facebook to promote your restaurant, post new launches and videos on your fan page and enjoy the smart brand positioning in the market. Going global is the new mantra..